From Minna-scan: This is a story about a Kuu, who is thinking about her prince all the time, she has dreams of him all the time, of him telling her to come with her. One day, as she goes back to school, she meets with someone who looks like him, exactly. 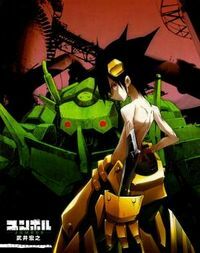 Not before long the story gets complicated with mechas and stuff, what will be of Kuu? 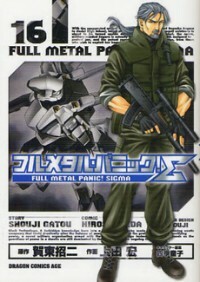 The events chronicled in this manga are also depicted in its own campaign in the Gundam: Meguriai Sora game for Playstation 2 (released in the US as Gundam: Encounters in Space), as well as a novel by Kazuki Miyamoto. 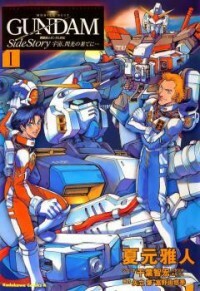 Some of the characters are seen briefly in Mobile Suit Gundam: Lost War Chronicles manga. From ANN: Years before the One Year War, Zionic Co. was developing a new type of piloted robots (later became Mobile Suits) using thermonuclear reactor shielded with Minovsky particles as the power source. For safety and secrecy reasons, the project was outsourced to Hosioka, a small steelworks which looked ridiculously lousy at the first sight. The sequel to the Juuki Ningen Jumbor manga under the new name Jumbor. 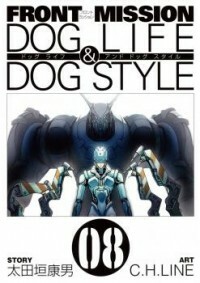 This manga takes place about 300 years in the future from the original series. 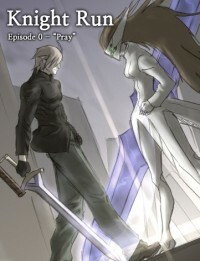 Serialization begins in summer 2010. MIUE Yuma wrote the story for the first oneshot. MIKAMI Hiromasa helped with the manga for the second oneshot. In the world, the manipulation of tanks (Sensha-do) is one of the traditional martial arts especially for girls. Miho doesn't like Sensha-do and moves to Oarai Girl's High School. But the chairperson of the student council orders Miho to participate in the national Sensha-do championship.